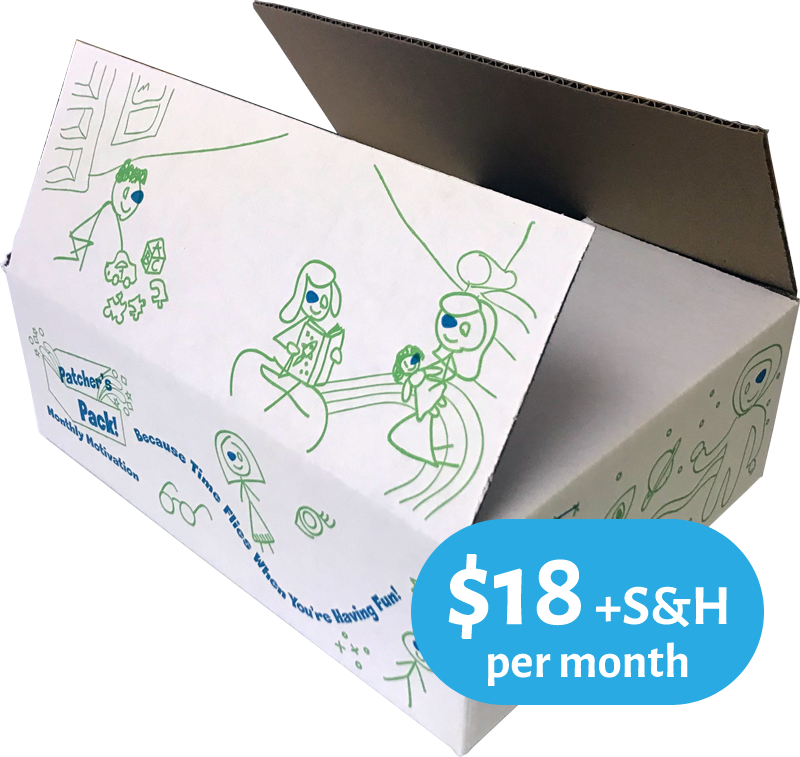 Patcher's Pack is a monthly service for parents of children with Amblyopia. 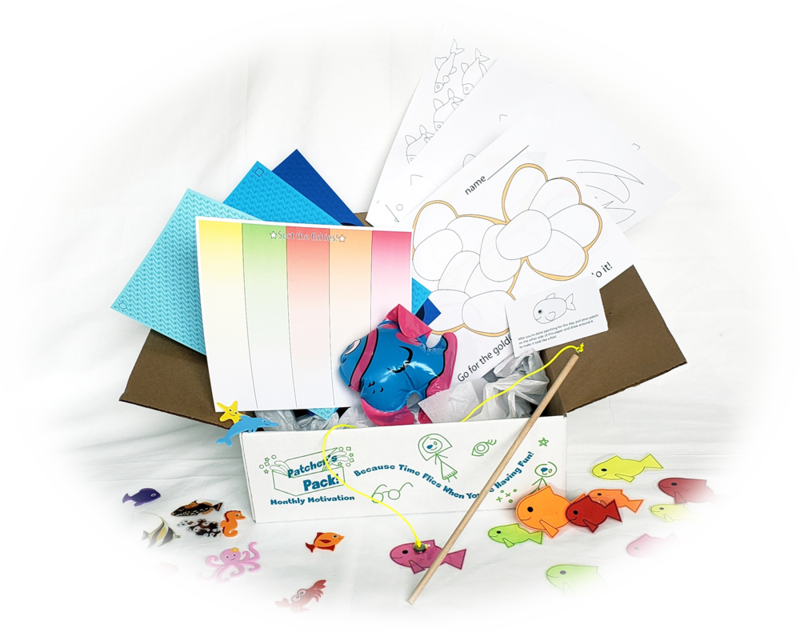 Each pack contains some activities that your child can do while they're patching. Patcher's Pack is recommended for children ages 3 and up. We'll send your child themed fun and motivation every month! Keep patching exciting with monthly fun and challenging activities. New activities mailed to your patcher every month! 3 levels of difficulty to play in every box, to keep your patcher visually stimulated and challenged. Try stars for expert mode! A new challenge every single day! Everyone signed up for our website has access to our "Daily Challenge". The challenges are just a little something to keep your child excited about patching. Whenever a challenge is completed, your child is treated to a fun surprise! Daily Challenge is FREE for people who have made an account on our website! Click the button below to sign in/sign up and see today's challenge! Masie was thrilled to get her Patcher's Pack in the mail. I could hardly get it open because she was in the way! I was very impressed with the time spent making sure it was neatly wrapped with care. Felt like it was special made for our family. When we got our patcher's pack, we were excited to start right away. Dade LOVES getting packages in the mail, so when he saw his name on it, he was very excited. Then he noticed the people in the box with glasses and patches, like him! Subscribe to Patcher's Pack now to get your very own child motivator each month! *Patcher’s Pack is not medicine or a medical device. It’s not a substitute for occlusion therapy. Always follow your doctor’s recommendations for amblyopia treatment. Patcher’s Pack is designed to help you follow through on those recommendations when you are at home. Occlusion Therapy is a very effective treatment for amblyopia and we want to help you succeed! Copyright 2019 Is It Gonna Hurt? Publishers All Rights Reserved.